I recently returned from our annual trip to Edmonds, WA. The main purpose of this trip for us was to attend the annual Rick Steves guide workshops, Rick Steves Travel Reunion and do public presentations and slide shows. Following each public event there was a Q&A session when travelers could ask us specific questions. As public events are held in Edmonds, WA, most of the participants were also from NE Pacific. One of the common questions I was asked was the best way to fly from Seattle to Istanbul. “Best” is a relative term. Based on my personal experience flying in this destination for about 20 years, I grouped what I think in the chart below. Travelers with miles on United and Air Canada can use them on Turkish Airlines and Lufthansa as all are members of Star Alliance network. You can get cheaper tickets thru some online booking agents, such as www.farebuzz.com. But, if it is too good to be true, it usually is. Most of online platforms don’t provide flexibility and only sell non refundable tickets. They don’t allow any changes, even if you are willing to pay the penalty. Read fine print very carefully before you conclude a purchase. Otherwise, your cheap ticket can turn out to be the most expensive if you need to cancel and / or change. If you are 100% sure your flight itinerary will remain the same, than Farebuzz or similar platforms are good, especially for business class as you may find deals as cheap as 40%. A seasoned travel agent can work with you to find the best combination of airlines. They will match your criteria and they usually work for you in case you need to change or cancel. Turkish Airlines and United Airlines conveniently have direct flights to Istanbul from JFK in New York. Turkish Airlines offer more options with direct flights from LA, Chicago, Huston, Boston and Washington DC. You can easily transfer onto a Turkish Airlines flight from one of these airports. 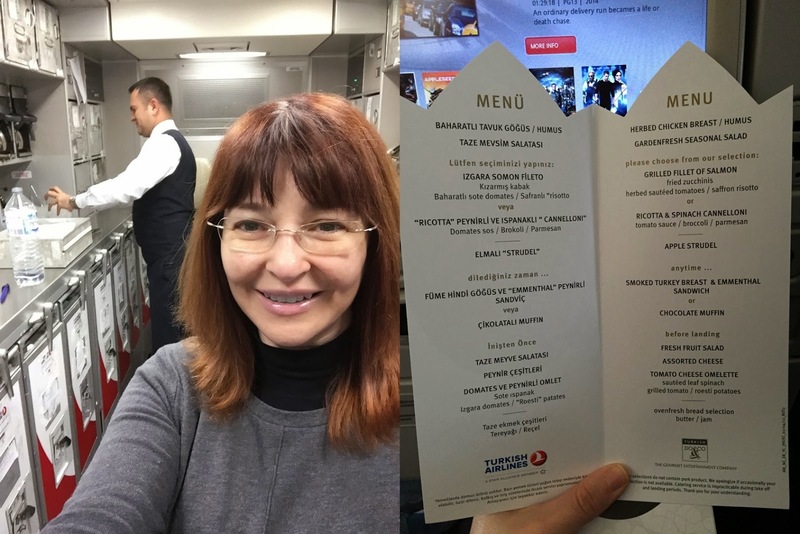 In the past decade, Turkish Airlines have upgraded dramatically and it is being chosen as one of the top 10 airlines of the world consistently for the past 5 years (World Airline Awards), and food served on both the economy and business cabins are considered to be among the best.